The Citra co-op in Abruzzo have been sending us decent everyday wines for as long as I care to remember, and new packing prompted me to revisit the white. And it’s as if the wine has had a make-over too. 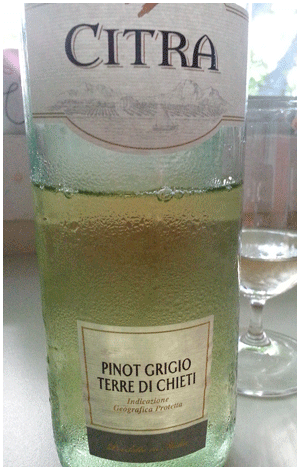 It’s a delicious, delicate, refreshing Pinot Grigio with just the right feeling for everyday sloshing. A good edition of ‘nice’ that’s perfect for lazy, summer holiday moods. Chill well to accent the Italian zestiness. Best in the early evening, gulping hour. Or anytime at the cottage.